Lara and Shane Olson share a common love to reach out to those in need, whatever need that may be. This passion is shared by their three boys. Through the development of Gathering Together, they have formed a network of partners across the world, who share this passion. 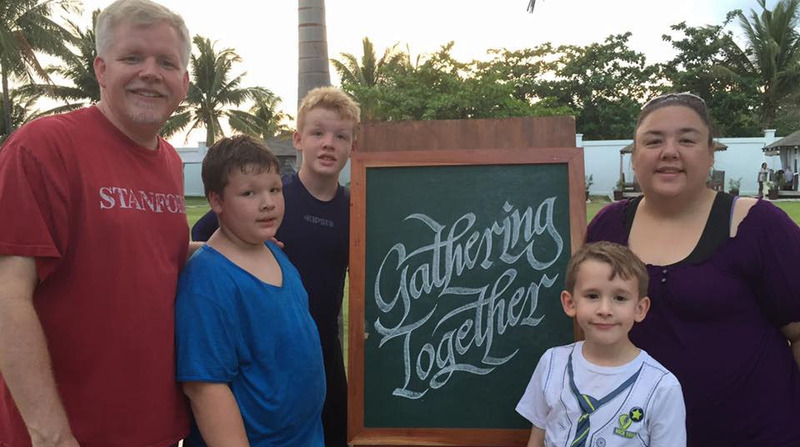 Shane Olson is the CEO of Gathering Together. Lara is Co-Founder and Senior Manager of International Operations. Shane Olson has completed his BS in Mechanical Engineering from the University of Arizona, and his Masters in the same field from Stanford University. Shane retired from General Motors as an Executive Chief Engineer. Lara’s training and passion lies in the medical field, having studied both Medical Laboratory Technology and Nursing in the US. All three sons engage in different fundraising activities for the needy, which is actively encouraged by the parents. They all have a heart to serve. Ian Olson, is often engaged in speaking assignments ever since his playground project in Liberia took off. His dream is to see that Liberia has a playground in every county and he is working towards his goal. He started this project when he was 10 and has built 4 playgrounds to date in Liberia and 1 in South Africa. Eric Olson and dad Shane work together in a micro growth project, aimed to bring economic transformations in a village, near Bangalore, India. Aaron is a born entertainer; since his birth, he has always enjoyed travelling to far off places and making new friends. Because of his charisma and friendly personality, he is usually the one, people remember to ask about. All of seven, on his own initiative, he has begun to fund raise selling lemonade to his neighbors and friends. The money collected goes to help impoverished children of migrant laborers who live nearby in tiny tin shacks.